This four-week certificate program will teach you advanced principles of whole-food nutrition and food preparation based on the Bastyr University nutrition philosophy. By the end of this program, you will have the skills to plan, source and prepare healthy meals using whole food ingredients. Classes will be held Wednesday evenings from 5:00pm - 7:00pm for four consecutive weeks. Refunds will be granted with a minimum written notice of 14-days. Bastyr reserves the right to cancel courses with insufficient enrollment, in which case a full refund will be granted to those registered. No refunds will be granted for participants once the four-week program has begun but participants are allowed to make up one missed class during the next scheduled certificate program. Fernanda Larson BS, CN, is adjunct nutrition faculty at Bastyr University California. She received her Master's degree in nutrition from Bastyr University, the largest and most respected natural health arts & sciences university in the U.S. 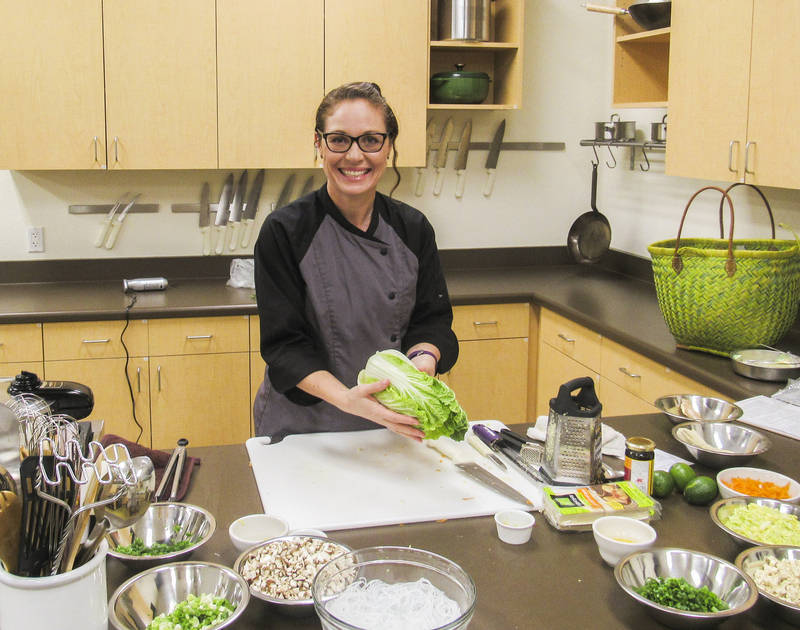 Her award-winning cooking programs have reached thousands of curious chefs of all ages through her San Diego culinary classes, including programs for the Del Mar School District and e3 Civic High School. She has been featured in the Del Mar Times, The Coast News, North County Kids Magazine, Red Tricycle San Diego, Mommy’s Guide to San Diego, L’Chaim Magazine, on NBC7 San Diego News and on Channel 6's Wake Up San Diego program.